Music | Bringing It All Together With MOH!! It is important to ask the correct questions when booking a DJ. 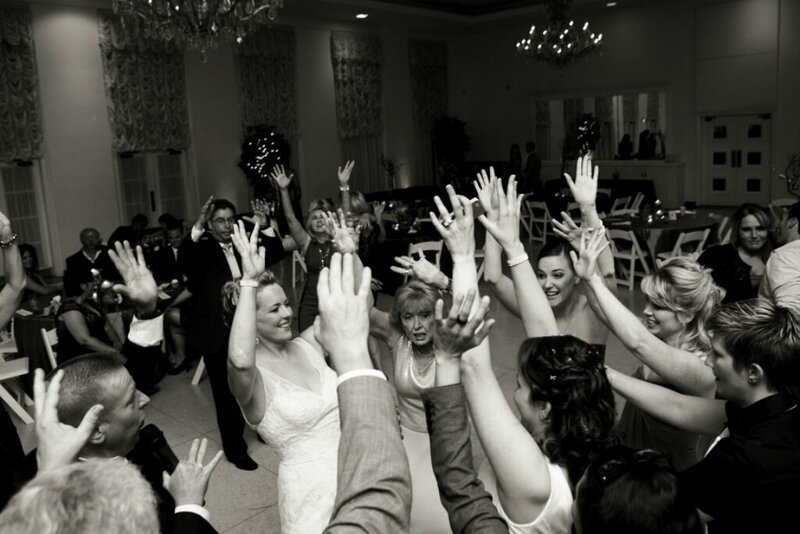 Although every aspect completes your wedding, the DJ plays an intricate part. They are the main entertainment during your wedding. All DJ’s are not the same, you want to make sure your DJ knows how to work a wedding. It is so much more then just playing some music. They have to know their cues, how to interact with the audience, have the experience, training, knowledge…etc. Carlton McGee of McGee Entertainment says here are some important questions you should ask DJ’s during the interview. 1. When is the last time or have you ever attend a training or seminar to improve your skills? 2. How many WEDDINGS have you DJ’d this month/year with characteristics like the vision I have for my reception? Current reviews only please! 3. Are your prices above, equal to or below the market rate? If below or above, why? 4. Do you offer any other services other than DJing (playing music)? Most Pro wedding DJs will offer Emcee services, reception planning and coordination services, if a Pro Planner is not hired, lighting, gobo projection, slide show equipment rentals, ceremony equipment, cocktail Hour set ups, etc…. 6. What is your Emcee style? Are you interactive? Are you flexible and easy to work with? 7. Are all your receptions customized or do you do the same routine every event? If you’ve noticed from the above questions, equipment is not the priority. Equipment is a tool! 9. Are you a member of a local or national DJ association? If no, why not? 10. Are you licensed and insured? If yes, show me the current documentation. Do you DJ Full-time or part-time? If part-time, why are you not DJing fulltime? Brides do your homework and don’t be afraid to ask questions. Your DJ will make or break your reception.